To access The Cooper Union Library website, click here. The mission of the Cooper Union Library is to provide research and academic support for the three degree-granting programs of the Cooper Union: Architecture, Art, and Engineering. The Library’s policies and programs, in tandem with its varied collections and subscriptions (including a large percentage of online resources), are designed to instill lifelong learning skills in Cooper Union’s students. The Library also functions as an institutional crossroads, in which students and faculty from across the college’s spectrum can meet and learn from each other’s disciplines and resources. The Cooper Union Library is located on the ground floor of the college’s landmarked Foundation Building, which is also home to the School of Architecture. The Library’s collections include approximately 100,000 volumes of print books and serials, over 180,000 e-books, and more than 17,000 e-journals, as well as a Visual Resources Collection and the Cooper Archives. The Library also provides authoritative and up-to-date architectural resources in print, visual or electronic format. The responsibility for developing these resources is shared by the Library Director, the Art and Architecture Librarian and the Visual Resources Librarian. Input from faculty, staff and students is encouraged. The Library’s architecture book collection, which is shaped to serve the School of Architecture’s mission, strategic plan and curriculum, is among the richest of its kind in New York City. The collection covers the history of world architecture, with a special emphasis on the 19th to the 21st centuries, with substantial holdings on significant European and American architects such as Walter Gropius, Mies van der Rohe, Alvar Aalto, Louis I. Kahn, Le Corbusier and Frank Lloyd Wright. Architecture from previous eras is equally well represented, with sizable holdings on the works of such figures as Andrea Palladio and Karl Friedrich Schinkel. The collection reflects the architecture curriculum as it has evolved since the early 1970s. While the history of architecture is strongly represented, resources relating to 20th-century architecture, theory and criticism are the hallmarks of the collection. The Library continues to expand its holdings on non-Western architecture, as well as urban studies, sustainable and green architecture and landscape architecture. There is also a strong focus on the intersection of architecture and engineering, taking advantage of resources in the engineering collections, such as those on structural design and analysis, building technology and standards, and sustainable design. Cooper Union students and faculty have access to the collections of the Research Library Association of South Manhattan (the Consortium) as well as the extensive resources found in the New York Metropolitan area, including the Art and Architecture Research Division of the New York Public Library, the Avery Architectural & Fine Arts Library of Columbia University, the New-York Historical Society and the multitude of museums and municipal libraries and archives. These resources provide Cooper Union students and faculty with comprehensive collections unmatched practically anywhere else in the world. The Library staff regularly refers students and faculty to these other collections when they need a resource outside of Cooper Union’s holdings. The coverage and scope of the Library’s serials collection support the curricula of both the Bachelor’s and Master’s programs in architecture. Most of the serials are available on open shelves, but some titles – which have been discontinued by their publishers or are otherwise no longer received by the Library – are retrieved by request from the mezzanine storage area. The Avery Index to Architectural Periodicals, which offers bibliographic records dating from 1741, remains one of the most important search engines for architectural journals. Art Source, the art and architecture database from Ebsco, which includes Art Full Text and Art Index Retrospective, is the other important database in architecture. The Library's Visual Resources Collection consists of digital images, slides, pictures, films, DVDs, VHS tapes, laser disks, maps and a closed-stack set of blueprints by the late Dean John Hejduk for the renovation of Cooper’s landmark Foundation Building. The map collection is used primarily by architecture students working on site-specific projects. A new educational video streaming service, Kanopy, became available to Cooper patrons starting September 2015. Kanopy offers many titles of interest to architects, including 500 specifically on architecture, with hundreds of others on art, engineering and design. Such expressly architectural series and production companies as the Michael Blackwood Architecture Collection, the Roland Architecture Collection and Checkerboard Films are included in the lineup. The Cooper Union Library's approach to information literacy is designed to foster in students research skills that will continue their professional and personal enrichment after graduation. 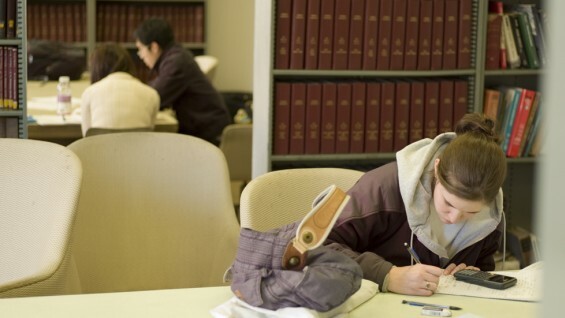 In library research instruction sessions and on an individual basis, Cooper Union librarians emphasize search strategy, research techniques and criteria for the evaluation of information. Research instruction sessions are conducted each fall specifically designed to acquaint first-year architecture students with the Library’s resources and services, with an emphasis on those that hold particular relevance to their studies. The Library also offers more course-specific library research instruction to hone the students' ability to locate, evaluate and use information. The goal is to equip students with skills that will allow them to work independently, efficiently and confidently in any research environment. A subject-specific online research guide is made available to the students to follow up on what was covered in the instruction session. The Library is open approximately 68 hours per week, including weekends, when school is in session. During these hours, all library stacks and collections — except the Visual Resources Collection and the Cooper Archives, which are closed evenings and weekends — are available to students and faculty. It should be noted that Cooper Union students can also avail themselves of 24-hour study facilities at NYU's Bobst Library and the New School’s University Center Library, both of which are a 10-minute walk from The Cooper Union. The Reference Desk is staffed throughout the Library's hours of operation by a professional librarian. Librarians are also available for consultation in their areas of expertise when not scheduled for reference. The Library also provides an email-based reference service, which has rotating coverage by the librarians. Many inquiries to the Cooper Archives are also received via email. The Library provides fifteen computers for general use. All have Internet access and can print from a networked laser printer. Most have word processing available, and two are attached to large flatbed scanners. There are also two smaller format scanners available. Scanning is provided free of charge, and has almost completely replaced the use of photocopiers. Wi-Fi access is available in the Library for Cooper patrons.